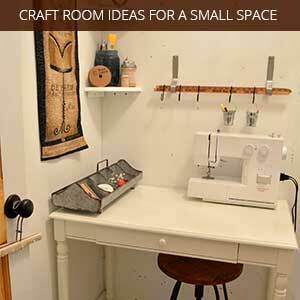 Your craft room should be a space that is welcoming and well organized. Regardless of the size, a crafting area can be fully functional and decorative. And, organized spaces that look welcoming leave the stress behind and the creativity ahead! 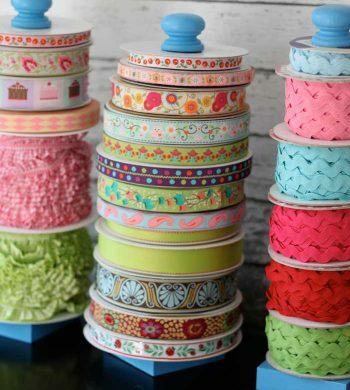 Here, you will find inspiration on craft room designs, organizational ideas and suggestions for craft supplies and tools. Just as everybody has a different personality, there are as many different design styles. Whether you like rustic or chic, you will find several great ideas to inspire your own space. 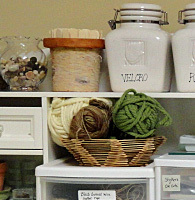 Don’t let your craft space become just a space to stash all of your project supplies. Make the room into a space that you will want to come and work. A well designed space will start you out relaxed and keep you that way through an entire craft project. 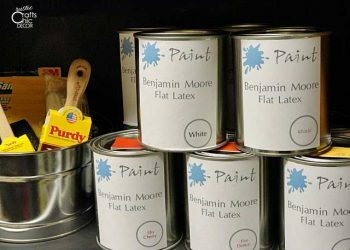 See how you can consolidate your leftover paints into storage sizes that are easy to manage. Create custom labels that make finding what you need a breeze. 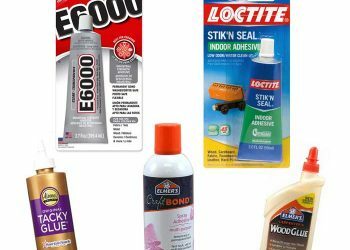 Find out which craft glues work best based on my experience with a wide range of projects. See my review of six craft glues straight from my craft room. 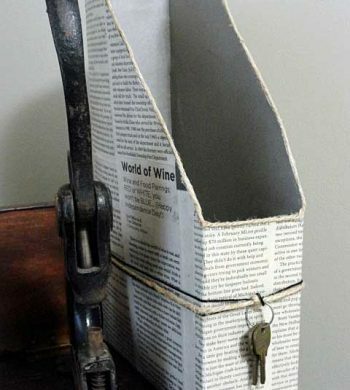 Start the new year with a fresh look for your craft room with these unique storage ideas using recycled materials. Save money and get organized all at once. 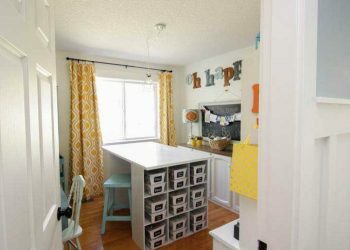 Get inspired for your own craft space with these well thought out craft room designs that are also full of style. 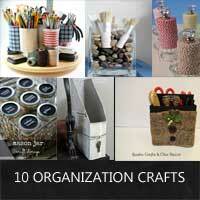 Get organized now with this collection of organization crafts that are both functional and decorative. 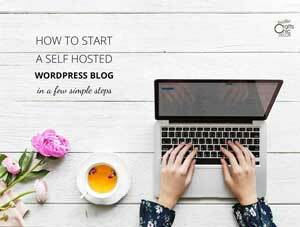 The start of the new year is the perfect time to get organized. 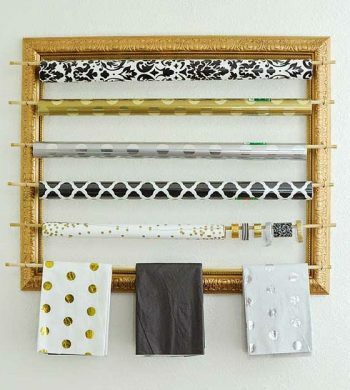 Check out all of these creative ways to organize your home in no time. See how I re-used furniture from another area of the house to work in the design and organization of my craft room space.